North Face’s motto is “never stop exploring.” This seems to be true for the company not just in its sponsorship of adventurers, but also in its use of integrated marketing. To help position the company as a pioneering, outdoor brand in China, it developed a unique integrated campaign to bring outdoor adventure to the consumers’ doorstep. 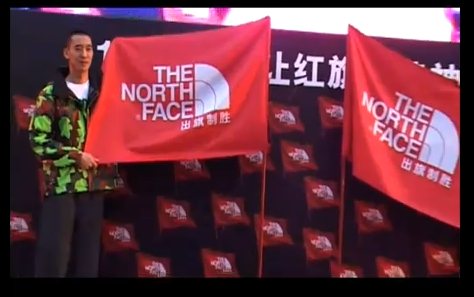 By taking the image of an explorer planting a flag on a mountain-top, North Face took a more urban approach using mobile phones. Consumers used their mobile phones to “plant a flag” on any location they wanted to claim as their own. Each location could be claimed only once, and the person who claimed it got the right to name it. Scoring was tracked in real-time, and posted on a large electronic display board. The campaign used traditional marketing in addition to mobile, and store promotions, field marketing, and live events in major cities. In only 18 days there were 651,000 flags planted all across China. The net result was an increase of 106% in dealer sales. What were the various elements that made this an effective campaign? Could this campaign be replicated in other locations? Divide students into teams. Have each team select a company and a new geography for the company to penetrate. Have teams design an integrated campaign that could be deployed in the new geography?